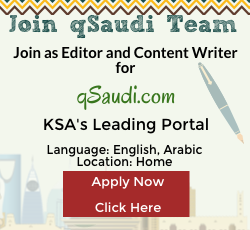 Living in Saudi Arabia, you may have noticed tons of activities that Saudis like. We have gathered the 6 most observed and liked activities that Saudis get involved in. Once you start reading the post you will relate to a lot of this stuff that you have personally experienced here in Saudi Arabia and watched the Saudis do that too. The Saudi’s are crazed with Soccer. Let it be playing in a sandy backyard or nationally in the stadium, these people would be in love with the game where ever it goes. We’ve seen stadiums all around in KSA, beautifully built and when the big day comes, these are packed with viewers from all over the city. Not only Saudi’s love watching the game, buy they also like to play it once in a while or so. You will children and teens kicking and passing footballs around in the alley, demonstrating their skills and having the best of time. The adults in KSA are too hitched on Soccer as well. They love to play and enjoy watching the game as much on their TV screens and stadiums. When you visit a Saudi home, almost 9/10 will have a traditional atmosphere in there 24/7. You will see them having tea with friends and family in small inch cups, with intricate gold and silver details, with their pots of tea full and coming, you will also see a bunch of them smoking sheehsa and having a great time. Sheesha for Saudis is a must! You will see them late in cafes and restaurants taking a shot at this. Many of the dine in places, actually most of the dine in places now offer sheesha and flavors to their visitors after dinner/lunch so they can spend a few additional hours at the restaurant. Not only this, but some Saudis have their very own Sheesha smoking machine that they travel with and take them to beaches and desert picnics late in the night. When you are in Saudi Arabia, it is perfectly normal to watch a Saudi family, open up their picnic basket in the parking lot and start munching. Saudis are very famous for this and they also love to be a part of such activities. In sandy grounds and deserted areas they will camp late till night with friends and family, smoke Sheesha, and eat till they’re full. These desert picnics look absurd at first, but when you get to be a part of them they are much fun. Parking lots, public parks, open spaces and all these wide areas are where you will definitely find a number of families enjoying a day out. Probably not of the good stuff, yet Saudis love their cars and reckless driving. Teens in KSA especially are involved in many traffic accidents and cases, where the drifting got out of control, the spun and hit a pole or something. Such cases are common in KSA and it is sad to see them in such way. Car drifting is a great hangout way for friends in KSA. But when it gets out of control, things might not be that amusing as they were. There are fine and penalty charges to this act as well. But the Saudis are psyched with the screeching of car tiers on roads! Major Saudi Drink! A soft drink that you find every Saudi sipping on it. Pepsi is their number one drink that you will find, every child, teen and adult with. It is the widest selling drink in KSA, that is taken and loved by the people here. Pepsi is an internationally known drink but you will find many lovers of the drink residing in KSA. You will find cafes at almost every corner of the road. Big, small, posh and expensive – a bunch of friends and thousands stories to share. Cafe nights are where the Saudis gather up for tea/coffee or sometimes Sheesha. It is a fun tradition that the new generation seems to be quite active with. Usually cafes have a TV screen where a soccer game is on. You will find many Saudis like so that fit the description. That is all from our side! Which activities do you think should join the list? Share your stories and comment on the post below. Saudi Traditional Wedding Dance with swords I have a Traffic Violation; how can I check the Number Plate?